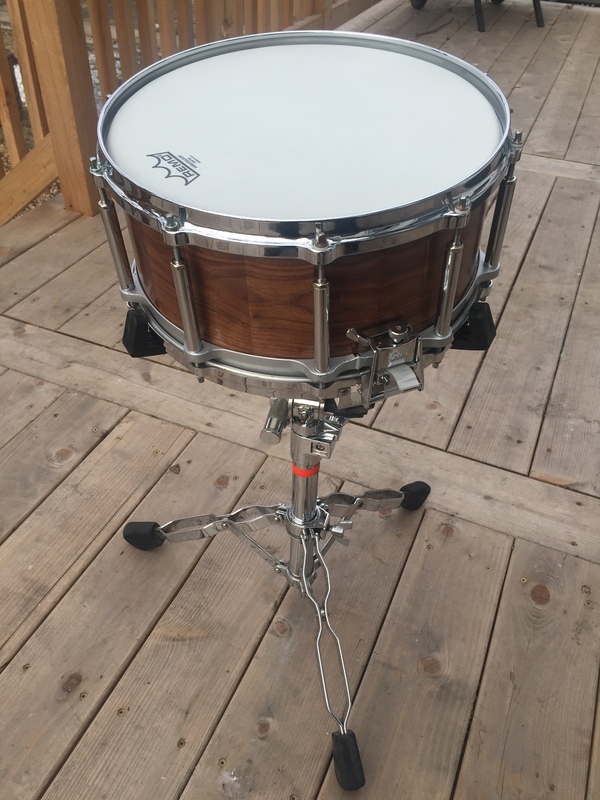 This was a stave snare build, my first time attempting this. 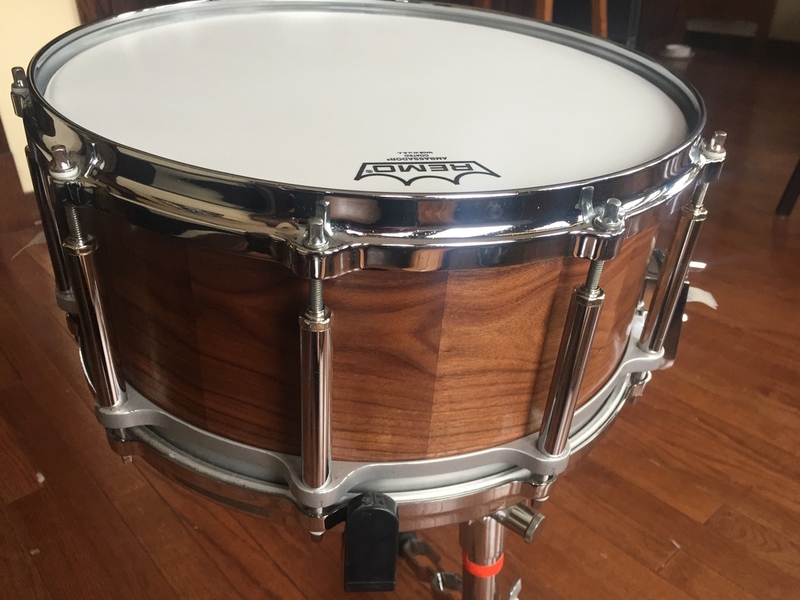 Most wooden drums are made using thin bent laminations glued together in layers; essentially, plywood, resulting in a drum that has a high glue to wood ratio. 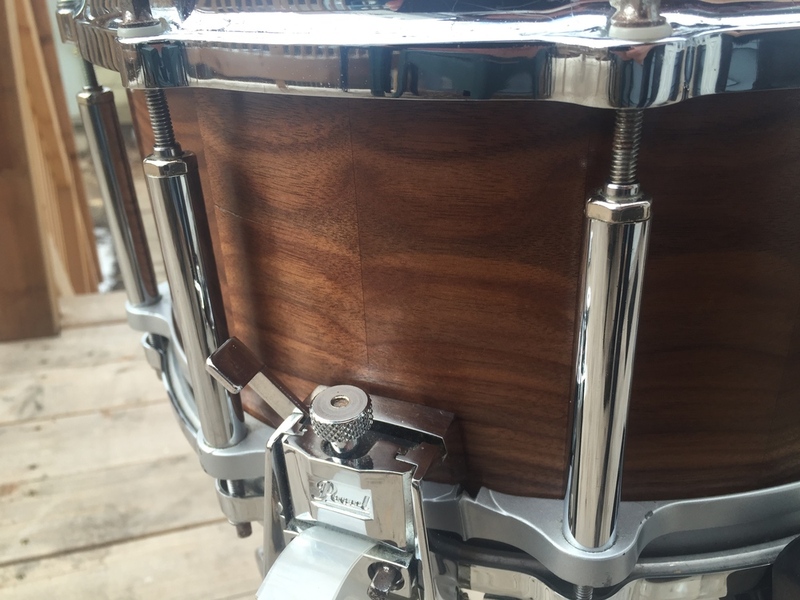 But a stave drums use solid wood sections, joined together vertically, resulting in a drum that is mostly wood. This was made from black walnut, finished with blonde shellac and a final paste wax coat. This was completed in January of 2015, and made for my wife who is a drummer. She loves the look and sound of it!